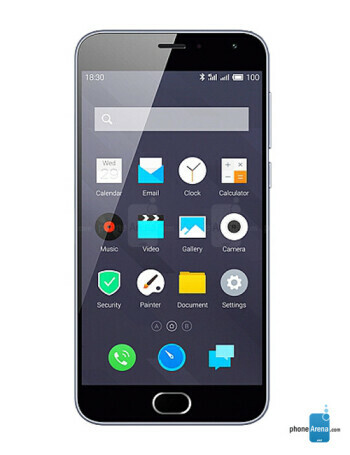 When compared to its extremely popular affordable phablet sibling, the 5.5-inch Meizu M2 Note, one can see that the Meizu M2 cuts some corners: the 5-inch screen features a 720 x 1280-pixel resolution (vs 1080p on the M2 Note), and the system chip is the less capable MT6735 (vs the MT6753). We would not consider those deal-breakers in any way, though: the display is still sharp with pixel density close to that of, say, the iPhone, while the system chip is on par with the Snapdragon 410 used in devices like the new Moto G (however, the Moto G costs twice as much). The Meizu M2 features the same 13MP/5MP (rear/front) camera setup as the M2 Note.